Independent consultant in Georgia and abroad in the spheres of Human Rights and elections. Ms. Gurchiani also delivers lectures at the Ilia State University School of Law. Since 2013, she has been blogging for Radio Liberty. Ms. Gurchiani has graduated from the Tbilisi State University, department of Law. In 2004-2010, she worked as Program Coordinator for the freedom of information and anticorruption programs at the Georgian Young Lawyers’ Association (GYLA). From 2007 to 2009, she delivered lectures at the Human Rights Academy of the Ministry of Interior of Georgia. During 2010-2011, Mr. Gurchiani earned a Master of Law degree from the College of William and Mary, Virginia, USA. She also worked as an intern in the following organizations: The National Security Archive and Sunlight Foundation, Washington, USA. 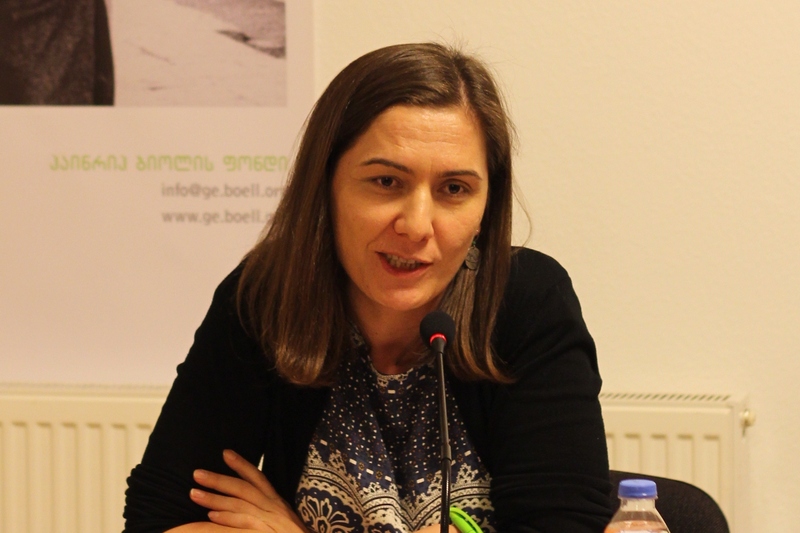 Since 2012, Ms. Gurchiani has been a board member of the International Society for fair Elections and Democracy (ISFED) and the Georgian Young Lawyers’ Association (GYLA).